Somehow my family and I get more fervent in collecting Doraemon series McDonald's Happy Meal toys than the Hello Kitty 35th Anniversary series. The same week we got our first Doraemon time machine, we visit McDonalds again for the Doraemon Rubber Stamp. 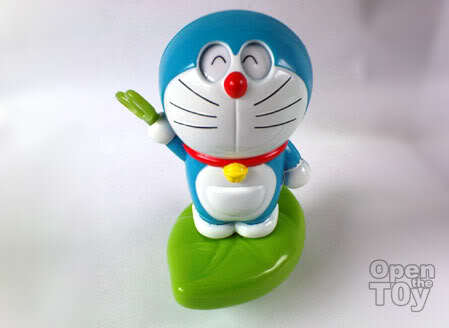 I will consider this is my 2nd favourite Doraemon in this series. 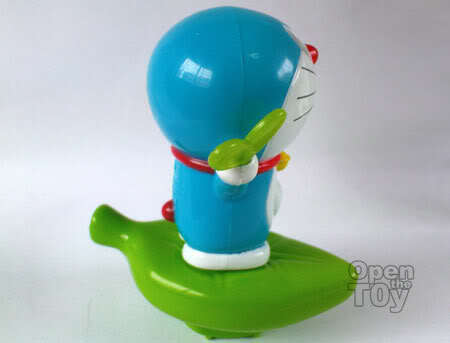 Doraemon was supposed to be standing on a leaf but the leaf kinda look like a fat and thick banana. However the subject Doraemon look great at all angles. You can see the big pocket where he store his gadgets too! This collectible comes with a stamping function and they are wise to do the cap to cover the roller when it is not in used and that also served as a balance stand. You can expose the roller by removing the cap. They used Green ink to be consistent with the Nature theme and the leaf. 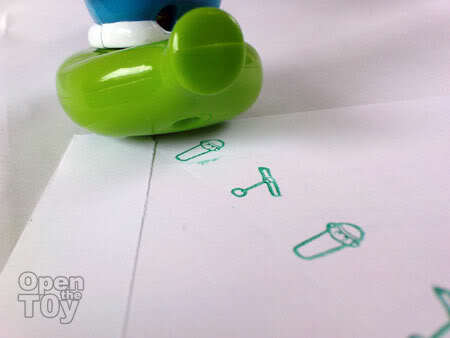 The stamp offer to print two design of Doraemon's signature gadgets. 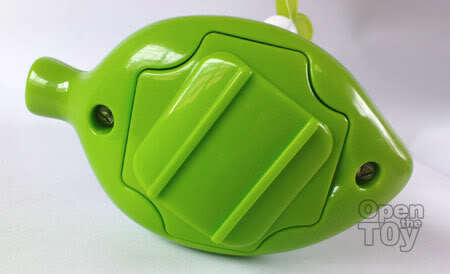 A Take-copter (タケコプター) which can place on one head and the user can take flight like a helicopter and a Small light (スモールライト) which look similar to a flashlight that will shrink objects and people to miniature size. 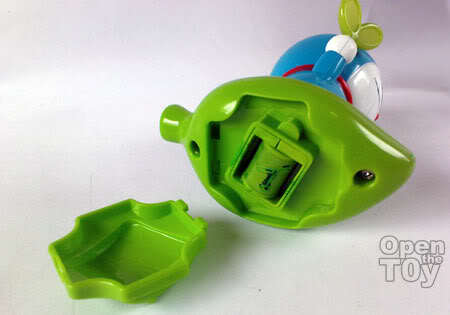 As you push the figure forward, every turn in the roller will change the eyes of Doraemon! Now that is cool and fun! But what if the ink went out?? Very cute and the change eyes is added fun.